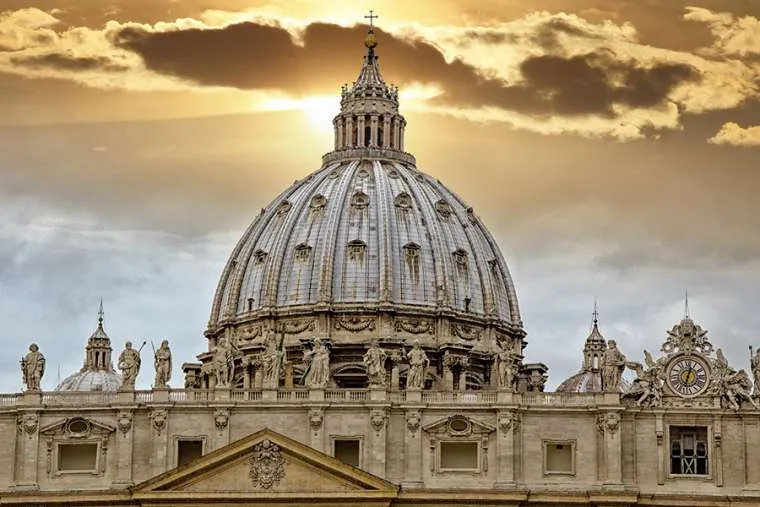 Vatican City, Apr 27, 2018 / 06:20 am (CNA/EWTN News).- The Vatican's annual financial report this year showed that monitoring systems put into place nearly five years ago continue to be effective, however, there is still room to grow in terms of prosecution for questionable activities. Two keywords that can sum up the AIF activities for 2017, he said, are “consolidation and normalization,” particularly in terms of implementing a sustainable regulatory and reporting system, as well as growing relations with domestic and international bodies. Bruelhart, a Swiss lawyer, was tapped to head the AIF after it was established by Benedict XVI in 2010 to supervise the Vatican's financial activity and prevent and counter money laundering. 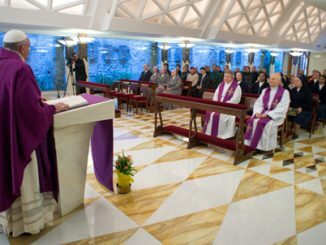 Carried forward under Francis, the AIF works alongside other financial entities in the Vatican, such as the Secretariat for the Economy and the Council for the Economy, both of which were established by Pope Francis as part of his ongoing reform of the Roman Curia. Bruelhart was present alongside AIF director Tommaso Di Ruzza at a May 27 press briefing on the AIF’s 6th annual report, which covered 2017 and summed up their continued efforts to build relationships with other states and crack down on suspicious financial activity within the Vatican. Most notably, the report detailed that it was the AIF which first flagged the diversion of significant funds from the Vatican's Bambino Gesu Children's hospital to renovate Cardinal Tarcisio Bertone's apartment in Rome. The case exploded in the media, and in October 2017 the former president of the hospital, Giuseppe Profiti, and former treasurer, Massimo Spina, were been charged with the illicit use of hospital funds in the amount of 422,005.16 euros ($480,600.58) to refurbish the flat. Of the 150 flagged transactions, 8 were submitted by the AIF to the Vatican Office of the Promoter of Justice during 2017, of which nearly all involved potential financial crimes with foreign individuals or entities either within or in connection with a foreign jurisdiction. The potential crimes flagged include international fraud, including fiscal fraud and market abuse. 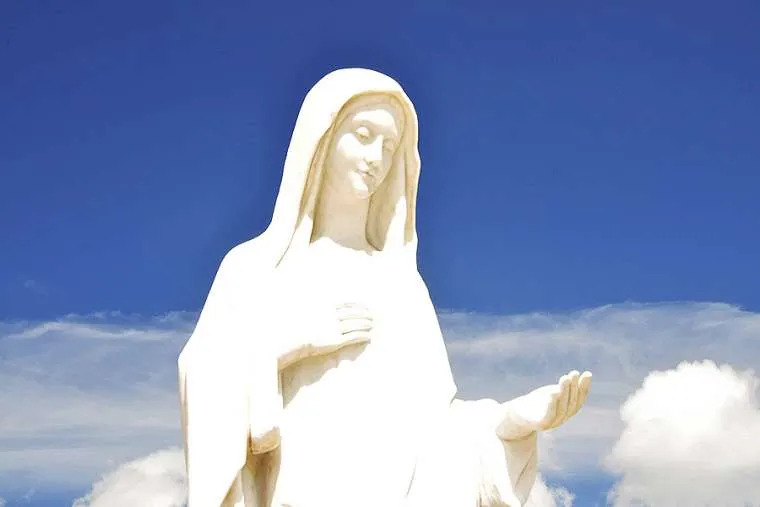 In only one case did the Vatican tribunal freeze an account after a questionable cross-border transaction amounting to roughly 1,757 euro, or $2,122, which took place in 2016, which the AIF said it had flagged and submitted in 2015. According to the report, none of the activities or transactions reported in 2017 were related to terrorism. Since 2015, the AIF has presented some 54 reports to the Promoter of Justice. When asked why there has not been a higher number of cases prosecuted in the Vatican courts, which in the past has been identified as an area of weakness, Bruelhart said it will take time to adequately develop the system put into place, and is up to the Promoter of Justice to determine how to act on reports submitted by the AIF. It is unclear how many of the 54 transactions flagged and sent to the Promoter of Justice have been looked into or investigated. However, “it's important to remember where we're coming form,” Bruelhart said, noting that the current system has been built only within the past 5-6 years, and new entities have been established, including the secretariat and council for the economy. “It has been a new world” for the Promoter of Justice, he said, adding that in his view, the chain of activities that has taken place “has moved in the right direction” and “a lot of progress” has been made. Noting how the first conviction took place just last year, he said “work is ongoing” in this area, and he expects to see more progress in the future. “There is a very good dialogue with the office of the promoter of justice,” he said, adding that “it's about building a dialogue together,” but ultimately the office is the only one responsible for what they decide to do. Change, he said, takes time and at times one needs to take a step back to fully appreciate the progress and continue to go forward. “Its a process, but there is life in this process,” he said. In addition, the AIF in 2017 also cracked down on transparency and accountability for donations made for institutional and charitable purposes, as well as interactions with what they have dubbed “high risk states” which do not have proper monitoring systems in place. The AIF also signed an additional 19 Memoranda of Understanding (MoU) with foreign counterparts, bringing the bringing the number to 57, and exchanged information in some 282 cases. These type of cross-border agreements are designed to crack down on money laundering and tax evasion, ensuring that the IOR does not become a tax haven. 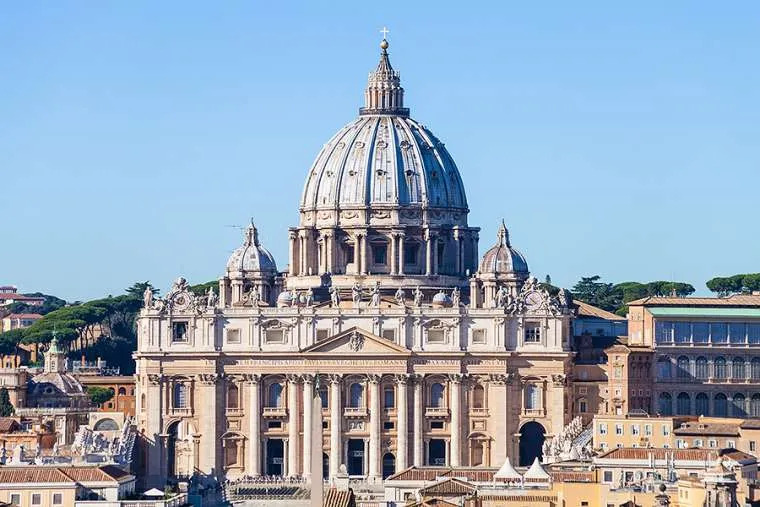 Vatican City, Feb 12, 2018 / 03:00 pm (CNA).- A Vatican Court has found two former IOR senior managers liable for mismanagement, and ordered them to compensate the IOR for resulting damages. IOR is the Institute for Religious Works, better known as “the Vatican bank,” although it is not actually a bank and it does not operate as a bank. The news of the sentence against the IOR’s former senior managers was delivered Feb. 6 in a short release that provided no names, nor the amount of money to be compensated. Msgr. Nunzio Scarano was an official in the Administration for the Patrimony of the Apostolic See, APSA, which does work as a sort of Vatican Central Bank. Scarano was charged with corruption and calumny by a court in Rome and with money laundering by a court in Salerno, and the charges involved the way Msgr. Scarano used his IOR account. For the record, as a member of the clergy and a Vatican official, Msgr. Scarano was perfectly eligible to hold a IOR account. In September 2014, after Cipriani and Tulli resigned, the IOR began a civil liability action against them, supported by a comprehensive review of financial investments made by the IOR before mid-2013, the recent IOR release read. This court’s ruling was anticipated Feb. 3, during the ceremonial of opening of the Vatican judicial year. The judicial year is by custom opened by a report by the Vatican Promoter of Justice, who functions as a public prosecutor. The report reviews the court’s work over the prior year. In his report, Promoter of Justice Giampiero Milani complained about the most recent Council of Europe’s MONEYVAL progress report on the Holy See / Vatican City State. The report urged the Vatican Court to prosecute alleged cases brought to their attention by the Financial Intelligence Authority. The Promoter of Justice noted that certain slowness is due to the Vatican system of justice, that is intended to protect from allegations until these are proven beyond any reasonable doubt. Within one month, the full sentence will be available, and will clarify why Cipriani and Tulli were found liable for mismanagement. It is noteworthy that the first IOR Annual report, published October 2013, recorded a 2012 profit of 86.6 million euro, while the 2013 report – issued July 2014 – recorded a 2.9 million euro profit. The decrease was described as the result of “extraordinary expenses” and “corrections on investment funds managed by third parties” for 28.5 million euros in 2012 and 2013. Is this the loss Cipriani and Tulli are considered liable for? And how much mismanagement in investments is due to their management and how much is due to those who took the helm of the Institute’s financial operations? These questions will be filled once the full sentence will be published. In 2017, Cipriani and Tulli were also found guilty in a Roman court of failing to provide information to another bank on three money transfers. The sentence had to be read in its entirety: Cipriani and Tulli were found guilty of 3 out of 9 charges, and they were minor charges, compared to those that began the trial. That story began in 2010, with a decision by an Italian prosecutor to preventively seize money transferred by the IOR. According to the prosecutor, the IOR did not fulfill its obligation of “reinforced due diligence” when it transferred 20 million euro to JP Morgan and 3 million euro to Banca del Fucino from a bank account the Vatican financial institute held in the bank Credito Artigiano. At the time, the IOR was considered an entity in a non-European jurisdiction, that is “not equivalent” to the Italian jurisdiction. The Vatican then adopted law n. 127, that is the first Vatican anti-money laundering law. Because of this, the Italian prosecutor revoked the seizure, as “there is no possibility of application, even because of new occurring facts.” That is, the seizure revocation was motivated by the adoption of a general law. Was it really sufficient to fulfill the requirements? In the meantime, the Holy See carried forward its anti-money laundering reform: “law 127” was replaced by a new law, following recommendations expressed by Council of Europe’s committee MONEYVAL, which the Holy See joined in 2011. The new anti-money laundering law eventually led to the design of a brand new financial oversight system, and to the strengthening of the Financial Intelligence Authority. The change of pace given by the developments on new anti-money laundering law indicates the passage from a first phase focused on designing the anti-money laundering system to a second phase with a more stably designed system. This second phase was marked by the issuance of Law n. 18 Oct. 2013, a comprehensive law governing the Vatican’s financial system, and by the strengthening of the Financial Intelligence Authority via new statutes approved Nov. 2013. The same year, the Financial Intelligence Authority and its Italian counterpart signed a Memorandum of Understanding. Despite the fact that the funds had been repatriated, the trial against Cipriani and Tulli went on. The investigation started over an alleged lack of information on 155 transfers. In the end, the Italian prosecutor focused just on a few transfers lacking sufficient information. So, beyond the 23 million transfer, the IOR was investigated for a 220,000 euro transfer operated by a certain Giacomo Ottonello; for a 100,000 euro transfer operated by a certain Giuseppina Mantese; for a 120,000 euros transfer operated by the Little Apostoles of Charity; for a 66,133 euros money transfer operated by Antonio D’Ortenzio; for a 70,000 euros transfer operated by Lelio Scaletti, who served as IOR general director; for a 100,000 euros transfer operated by Lucia Fatello; and 250,000 money transfer operated by “La Civiltà Cattolica”. While the Vatican’s legal framework had changed, the trial went on. However, the court could only focus on minor issues, while finding Cipriani and Tulli not guilty of money laundering. As the civil trial in Italy had a generally positive outcome, it is unclear why the Vatican prosecutor found the two former managers liable for mismanagements, especially considering that no investment could be undertaken without the approval of the IOR’s Council of Superintendency. The IOR’s internal procedures will continue change. The Council of Superintendency met this week, and approved some reforms to the 1990 modification of the IOR’s statutes. According to sources, the reform will eliminate the college of auditors and will establish a new overseeing body within the Institute’s ranks. This reform must be approved by the Cardinal’s Commission, chaired by Cardinal Santos Abril y Castello.